LANSING, Mich. — A mom refused to seek medical treatment for her newborn daughter even after a midwife warned that the infant’s jaundice could lead to brain damage or death, according to a police detective. “God makes no mistakes,” Rachel Joy Piland told her midwife, according to court testimony last week from Peter Scaccia, a Lansing Police detective. Two days later, infant Abigail was dead. Abigail died Feb. 9 from unconjugated hyperbilirubinemia and kernicterus, according to an autopsy that Dr. Patrick Hansma, a medical examiner at Sparrow Hospital here, conducted later. Both conditions are related to jaundice, a common condition in newborns that can clear up on its own but needs a physician to monitor. “He said if treated, most likely she would’ve been alive,” Scaccia testified. Piland, 30, and her husband, Joshua Barry Piland, 36, were charged with involuntary manslaughter, a charge that carries up to 15 years of prison time. The two were released from jail Sept. 21 after posting $75,000 bond and did not answer their door Wednesday evening. Records indicate the couple has requested that the court appoint lawyers for them. The case likely will pit the Pilands’ apparent belief in divine healing and the religious group they have been involved in, Faith Tech Ministries, against government officials who contend that parents are responsible for seeking medical care for their child. Abigail was born at about 9:50 p.m. ET Feb. 6 at the Pilands’ Lansing home. A midwife, who previously helped deliver two of Rachel Piland’s children, expressed no concerns about the baby’s health when she and an assistant left around midnight. But the midwife’s assessment changed the next day when she saw Abigail’s jaundiced skin. She advised Rachel Piland to take her infant to a pediatrician or emergency room, Scaccia said. The midwife scheduled another appointment for the next day, but Rachel Piland later canceled it. On Feb. 8, Abigail wasn’t eating properly and coughed up blood. At one point Rachel Piland’s mother, Rebecca Kerr, told her daughter that Abigail’s skin was not the right color. grandmother noticed blood coming out of the newborn’s nose, problems with her breathing and a lack of desire to eat. Rachel Piland wouldn’t allow her mother to call for help. By 11 a.m., Abigail’s mother found the infant not breathing and lifeless in a bouncy seat. Rachel Piland took the body to her husband, who attempted one round of mouth-to-mouth resuscitation and decided not to try cardio-pulmonary resuscitation because he did not know how to perform it on children, according to court records. Authorities learned of the baby’s death because Rachel Piland’s brother called them from California. 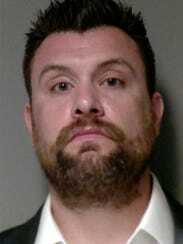 When police arrived at the Pilands’ home, “went upstairs and found a baby that had passed away and three other people praying for it,” Scaccia said. Joshua Piland has posted videos of missionary trips to Kenya with a Lansing-based Faith Tech Ministries, which describes itself online as nondenominational but similar to other “full gospel” or Pentecostal organizations. Its website says the Bible school has a strong message in the area of divine healing. In 2016 Joshua Piland was listed as a speaker at a Divine Healing Conference that the ministry organized. His LinkedIn profile indicates he left the organization in February, the same month his daughter died. No one at Faith Tech Ministries answered the phone Wednesday afternoon and evening. The couple is scheduled to appear Oct. 5 in Lansing’s 54A District Court. Joshua Piland worked for the Michigan Economic Development Corp. from 2009 until sometime this month, said Lynne Feldpausch, the public-private partnership’s executive vice president. She would not say which day was Joshua Piland’s last nor why he left. On Wednesday he still was listed as a senior project manager in the organization’s online directory, but by Thursday afternoon, his name had been removed.